develop the mindset necessary to interact with clients online in ways that will build trust and benefit their business by keeping customers loyal. Trust is an absolute necessity for any business. 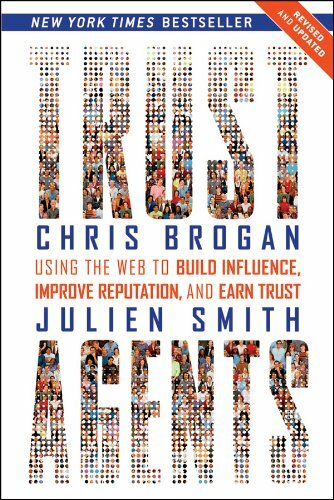 In Trust Agents, co-authors Chris Brogan and Julien Smith provide the knowledge necessary to build trust - and your brand along with it - on social media. In the constantly developing world of social media, keeping up can be daunting; Brogan and Smith do well acknowledge this fact, while maintaining the belief that the basics principles of branding on social media will remain static. These principles are taught in a way that will help the reader to develop the mindset necessary to interact with clients online in ways that will build trust and benefit their business by keeping customers loyal.